Hosts: Grace Runnels, Regan Schmid, Amber Chaves Rojas Nothing’s off limits. Tune in to catch up on what’s new and exciting in entertainment and music … and naturally, to hear our thoughts on it all. Unfiltered and always opinionated, we’ll spark discussion and keep you laughing. Host: David Michaud It’s the Me Show with your host David Michaud, bringing you the hottest takes from the worlds of music, entertainment, and sports! Host: Christal Hector The Student Block features the hottest original songs from your fellow students. 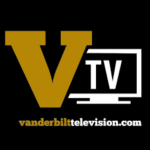 Listen out for your friends on air, and enjoy the immense talent coming through the Vandy pipeline.